Point C is on the perpendicular bisector of segment AB. As you move C, note the distances CA and CB (distance from C to the endpoints of the segment). 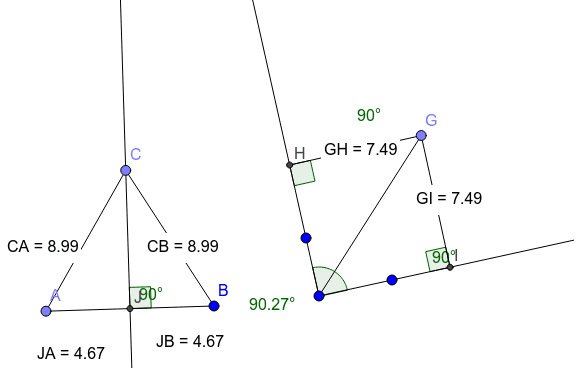 Similarly, G lies the bisector of angle GEH. As you move G, note the relationship between GH and GI (the rays forming the angle). Will CA ever differ from CB? Why do points I and H slide along the rays as you move G?